Here is another visual feast from award-winning artist Michel Gagné. 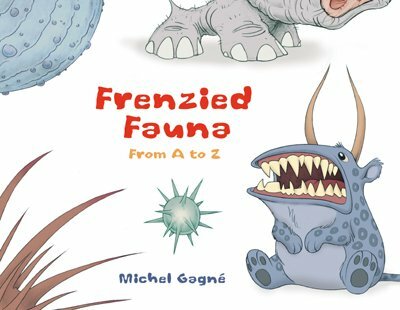 His sixth book, Frenzied Fauna: From A to Z, presents an alphabetical tour of the animal kingdom -- warped through Gagné's vivid Imagination, that is. 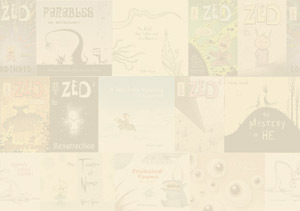 Never before has there been a menagerie so wild, wonderful, winsome -- and weird. 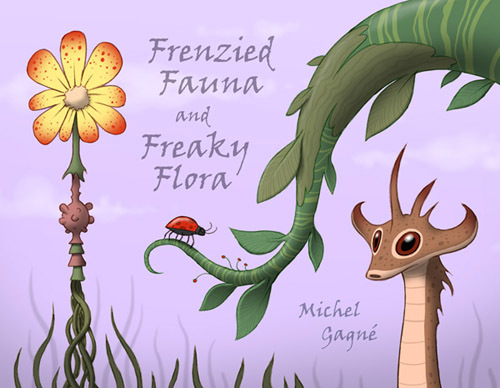 Reprinting Michel Gagné's acclaimed alphabet books, Frenzied Fauna: From A to Z and Freaky Flora: From A to Z in a single volume, with brand new artworks specifically designed for this edition. Explore a zoological and botanical tour of wonders: an exotic concoction spawned from the imagination of a master designer.